No matter how you look at it, D&D essentially shapes a tale of some sort. How it ends is up to the party. 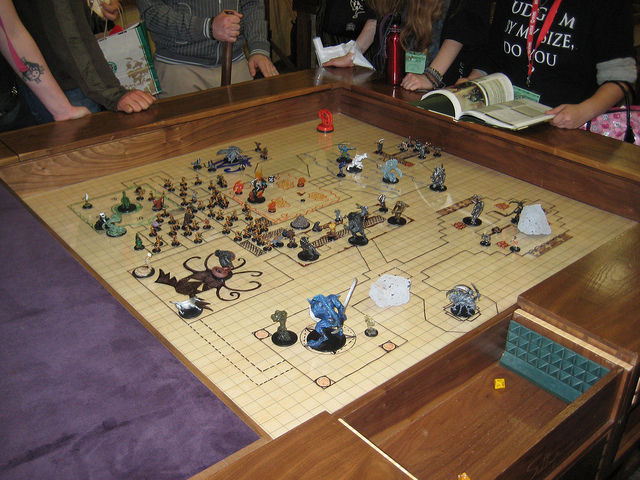 There are plenty of modules and campaign settings that create a world and adventures characters can partake in. Even with a popular module, they don’t always end the same way, it depends on the players. The premise, however, remains. With a module, different circles of players can compare their stories. How did you get through that dungeon? Did you spare the NPC? We never did find the magic weapon. Similarities are shared, but not necessarily outcomes. That’s because player characters add variance. While the experience feels unique in game, everyone is still playing the same level. My intent isn’t to bash modules. Having run Adventurer’s League, there’s an ease to a pre-made adventure, especially when you don’t have the time to create something. That’s an attractive trait to some. Still, when it comes to the long haul campaign, I crack my knuckles and let the creative juices flow: I want a setting entirely my own. I fall for characters. Every time. To me, characters are the central point a campaign should revolve around. When you play D&D, you do so in character, based on a background that has shaped you. As I’ve stated, that’s where modules vary. Most, and I use this word liberally, players will follow the plotline set before them, eventually or immediately. They realize they need to save the NPC to get the reward, and bullying villagers gets boring at some point. That’s D&D, right? What happens when that NPC in need is a player’s long lost child? Suddenly that quest is the first thing on their mind, and they’ll sway an entire party to follow that thread. It becomes an emotional investment, something your player confessed, a background ploy to be played at any moment. Right then, romancing a random NPC can wait. When the game involves pulling heartstrings, the world becomes a place they relate to. Everything is an untold tale waiting to be lived. Building investment is one of the strongest things you can accomplish as a Dungeon Master, creating a world by the player, for the player. It’s about the story—their story—and they’ll pursue it. I want to dispel the concept that homebrew is hard, or too much work. Believe it or not, your players will do most of the work for you. Just let their imagination run wild. Let’s take a step back and review simple ways to get started. Player Backgrounds. Demand it from them. Even if I just get a hometown I’m happy. The more information the player can provide the better. I once received several pages of an origin story, and the concepts I was able to pull from that still supplement our adventures. That said, intricate details that players provide are gems. Most of the time it’s a city, a dream, or a tale of revenge. The thing is there is no wrong background. All of it can be crafted into player enticement, even personality. Are they a runaway from a prestigious family? How can you loop that into the campaign? Can you come up with NPCs that your player knew, loathed, or loved? Is the place they grew up now a dungeon to explore? I’m a writer; give me something I can work with, and I’ll find the hook. But you don’t have to be anything of the sort to weave that level of story. The notion is simple: let it all revolve around the players. It can be as elaborate as a rescue pursued across the countryside, or low key like dropping clues about a recurring nemesis. A benefit of your own setting is creating maps/worlds based on places the characters have been, and want to go. Will you need some established cities of note? Of course! And there’s an infinite amount of resources you can use to create them. But building the world they scouted, that resonates with them. I should probably emphasize something: not everything needs to be homebrew. I don’t create new enemy archetypes for every encounter. It’s a bit unnecessary. I will, however, do so for dungeon “bosses,” or even combine statistics of an enemy with that of another. Even if you’re using another campaign setting, don’t be afraid to put your own flair on things. Mix and match, vary it up, never be afraid to try new things. As long as it’s fair and consistent, anything goes. Homebrew does involve constant notation, you’re writing your own story bible. It’s important to be able to reference what you’ve done. Jot down notable cities and their leaders, places of rumored treasure, factions yet to be dealt with. Everything can be molded to your needs, after all, you made it. That city you planted between the mountains, well it now houses a famous market because the story requires it. Homebrew makes the impromptu easy. That said, I would caution against changing already established statistics or rules. With homebrew, continuity is the grounds for which you base a feasible world. What do I get out of Homebrew? Honestly, it’s the satisfaction I derive from my players. I’m seeing their dreams come true in game. They pursue enemies or places that actually mean something to them. The distractions for anything else is severely limited. As a DM, you pour your heart into homebrew; anyone who has spent countless hours shaping a campaign knows this. In my experience, the players are almost always grateful for the world you made them, and for the campaign that they pursue like the main character of a book. Will you get those players who are still there just for fun? Yes, it happens. No matter how hard you try to entice them, they are there to party, and not even a dragon’s horde will tempt them. What do you do? Nothing at all. I let my other dedicated players take the reigns, it’s their interest that moves the campaign forward. When the partygoers are finally ready to play their part, they’ll let it be known. Test them out, give them something they relate to. If they choose it, you may have another hook. Otherwise, don’t bother to railroad them. There’s little satisfaction in that. Since I mentioned the word “railroad,” some of you may assume that a lot of homebrew involves railroading players. Just the opposite. For those of you unsure of the term, simply put, it means forcing the players into a story hook. With homebrew, this is a place all of you have shaped together. You can adjust as you please. If they’re not ready to enter that dungeon, don’t push them into it. Unless they have a Geas. No shame there. Until that happens, have options available at all times, then they can fall into whichever hook wows them at that moment. You can come back to those parts of the world later. 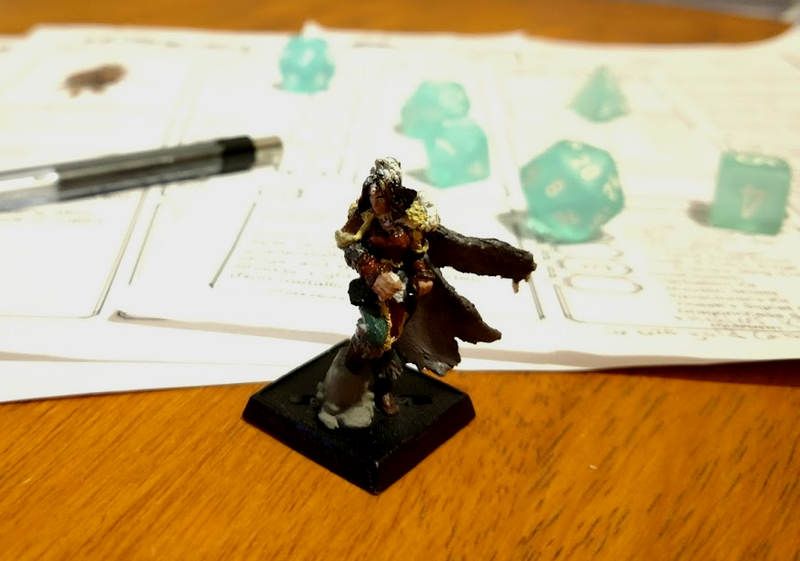 If you’re just looking to run a casual campaign, but you already find being a DM overwhelming, then homebrew might not be for you. It requires that extra step, that passion to shape a setting entirely of the group’s imagination. A world that compels the characters, and constantly moves the story forward. Something that’s ever-growing. Don’t misunderstand, there’s no shame in playing the modules. I’ve run many of the same Adventurer’s League games, and I’ve seen them unfold in widely different ways. 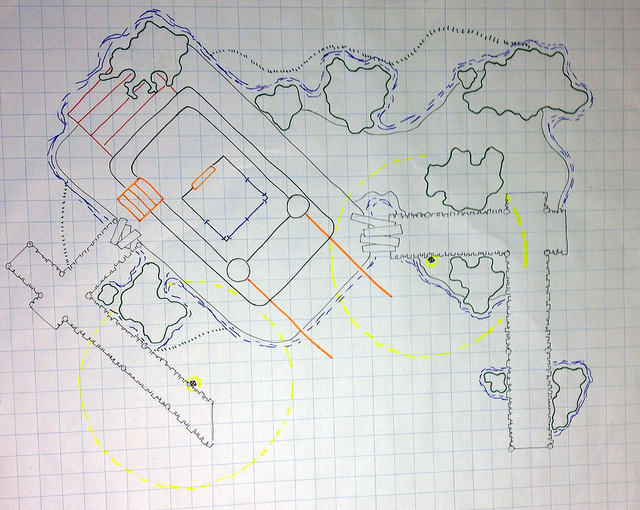 That said, as a writer and DM, I like building my own world—imprinting my imagination on my player’s hearts. When they play the adventure with evident enthusiasm, it leaves me with a sense of having finished a satisfactory chapter in both our lives. Header image by Mike Fabio. This is great advice! I am DMing for the first time, and I’ve thus far taken on the daunting task of writing it myself. It’s a challenge for sure! I have some loose ideas of how I want the campaign to go but I’d love for some feedback on my story. The reason why I haven’t used a module is that I wanted the campaign to feel personal, and special. I wanted my big bad that the characters face to feel like a real threat and some of the modules felt too sandboxey and kind of all over the place. Do you think I could email you some info about my story so I can get some advice and feedback on it? Gregory you’re welcome to shoot an email to info@meeplemountain.com and we’ll get it passed along to KM.